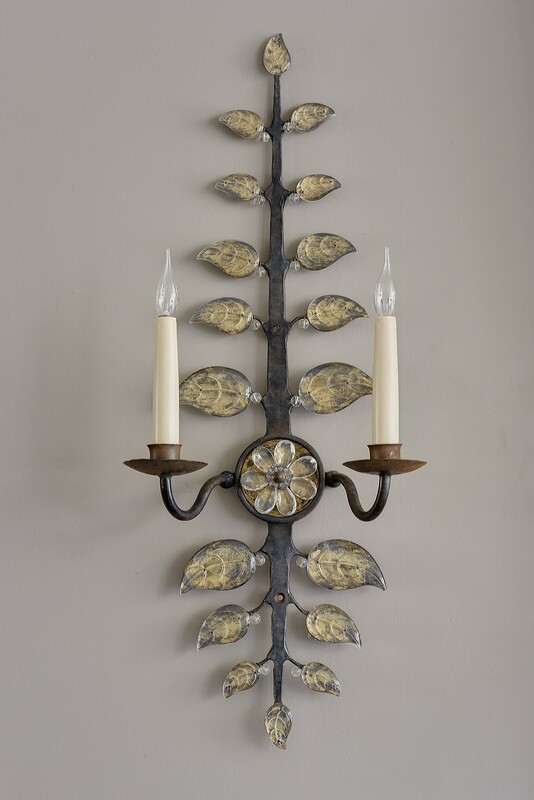 Made to order, hand crafted wall applique with beaten bronzed metal frame and clear glass leaves with distressed gilding behind. The applique can be electrified for any country. Please note that Charles Saunders is the agent for this applique designed and made by Cox London.